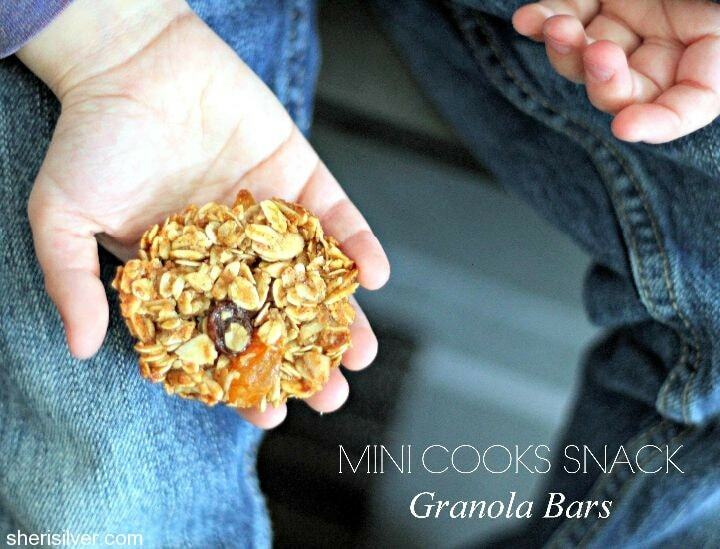 “mini cooks” snack – granola bars! 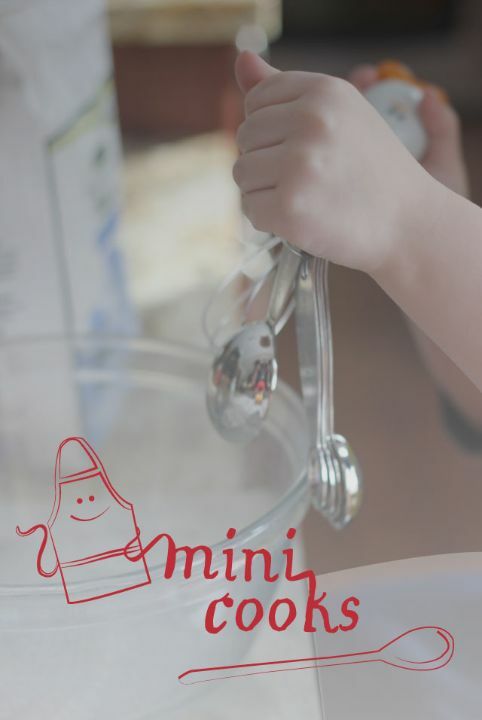 Welcome back to “Mini Cooks” – my series with MJ and Joy, about getting kids into the kitchen! It’s my turn this week, and we’re focusing on snack time (one of my favorite times of day)! When Chelsea and Conor were little, they had no interest in helping me cook or bake. Which – truth be told – was fine with me. See, I’m a bit of a control freak in the kitchen, so I was more than happy to have the place all to myself. Now Noah? He’s another story. And from the time he could talk – and ask “I help you?” – I’ve had to learn how to do good sharing in my kitchen. And the rewards have been greater than I could have ever imagined. I never thought I could actually enjoy baking with my kids, and yet our times in the kitchen have been some of my favorites. But as MJ pointed out in her post about cooking with kids, it definitely takes some planning. 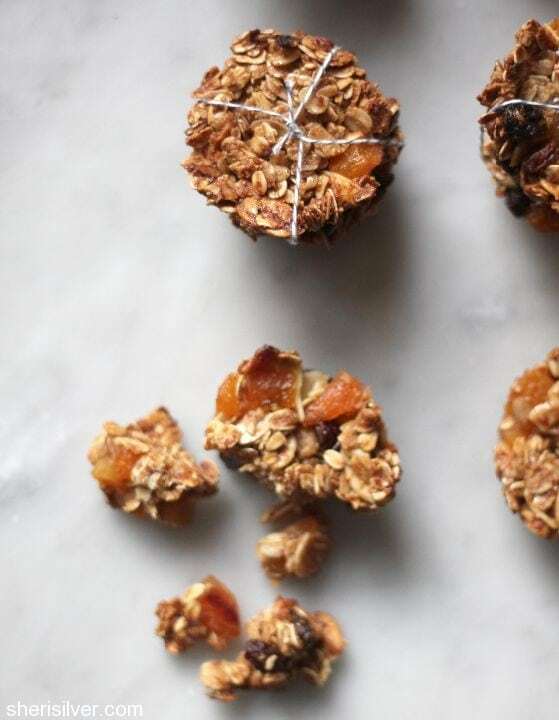 And these easy, kid-friendly granola bars are a perfect example. While Noah always “thinks” he wants to help, he’s not the most reliable partner. He could have tons of patience and interest or “be done” after 5 minutes. To increase my chances for keeping him engaged I make sure that I’ve done most of the boring prep work before we begin. For this recipe I toasted the oats and nuts and chopped the fruit. I also separated the cupcake liners so that it would be easy for him to just pop them into the tins (one of his favorite jobs!). 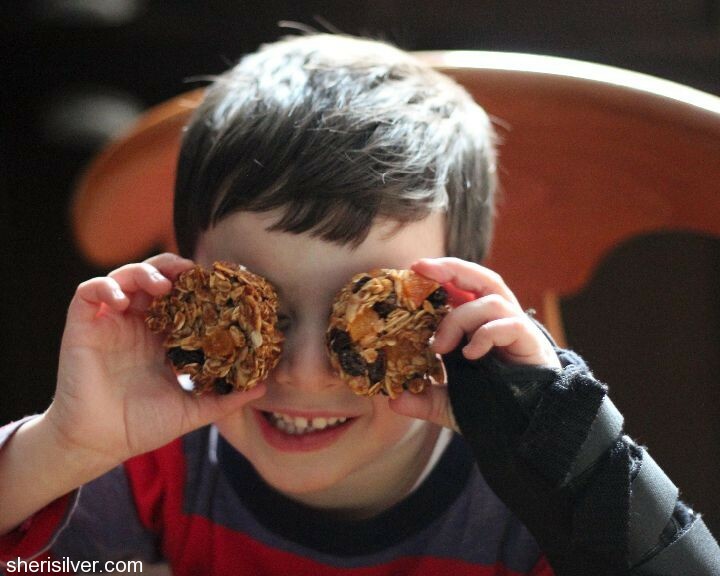 Noah loves to bring the treats we’ve made into school and these healthy bars will be a hit I’m sure! Preheat the oven to 350. Prepare two 12-cup muffin tins with paper liners. Spread the oats and nuts on a baking sheet and bake for 10 minutes, stirring once or twice. Remove from oven and transfer to a large bowl. Let cool for 10 minutes. Add the wheat germ, honey, vanilla, salt, brown sugar, vegetable oil and cinnamon to the oat-nut mixture. Stir thoroughly. Add egg, if using, and mix well. Add the dried fruit and mix again. Spoon the mixture into the muffin tins. 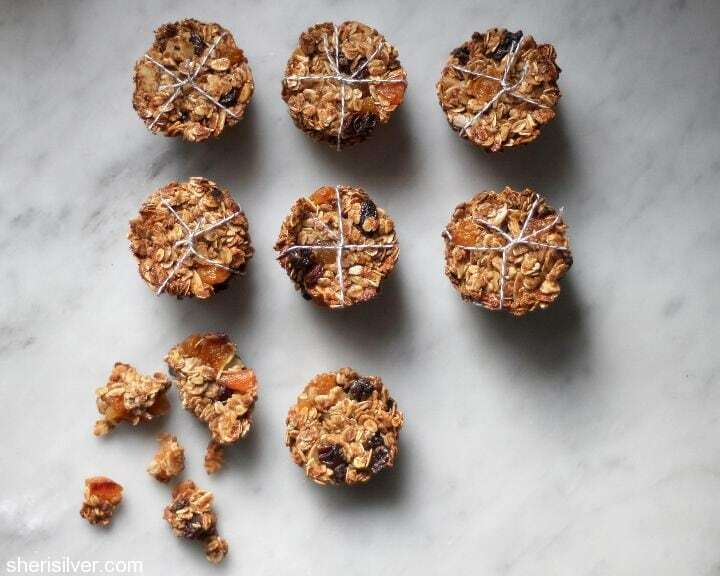 Using a second muffin tin, press the granola down firmly so that it’s well packed. If you don’t have an extra muffin tin you can use the bottom of a measuring cup or small glass. Bake for 20-30 minutes, or till golden brown. Cool completely before removing the liners. Store in an airtight container. New to “Mini Cooks”? You can catch up here – and be sure to check out our Pinterest board; it’s full of even more great ideas to get you cooking with your kids! These looks so delicious. I love that they are something that the kids can help make and then enjoy afterwards! I make my own granola which is quite yummy. I am certain these are too. The trick is def in the pre prep. I’m sure the little guy gets to feel so proud of himself when he takes these to school. I never thought of round and it makes total sense. Good one Sheri. Wish I could take credit – it was a game changer!